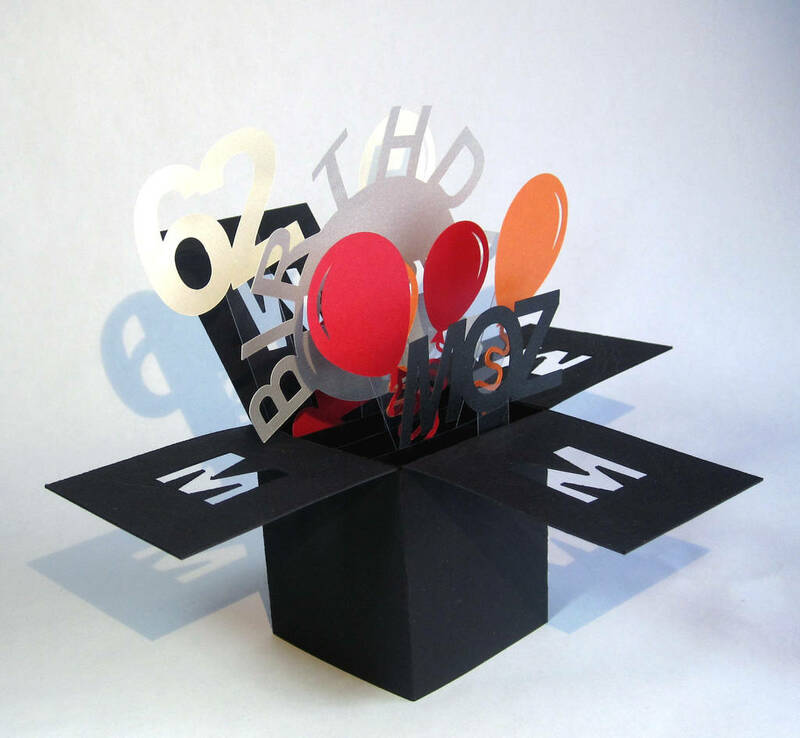 A stunning, exploding box birthday card. Maximum WOW factor for any recipient. Its elegant design is ideal for those wanting something a little different from the norm and is perfect for a man or woman. If you just want to say 'happy birthday', choose not to personalise or for a little extra, you can personalise by adding any wording or message you choose. Add a name, age, date or any short message you'd like (for maximum effect, keep the pop up bits simple; ie. a name, age or 'with love'. if you're not sure contact us and we'll happily guide you. As there are many colour choices available, we have grouped them into colour stories, but if there are particular colours you'd like, let us know. 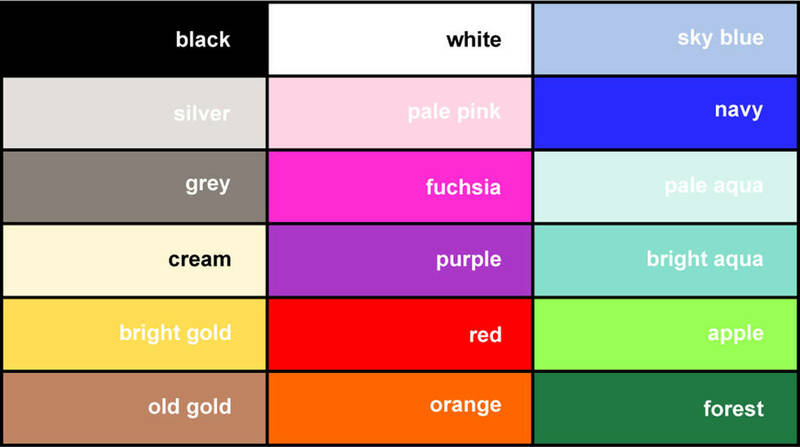 Please see the images for your colour choice. 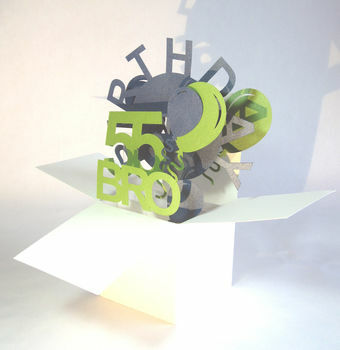 Each card is made with a matt cardstock box and shimmer cardstock accents for a luxurious feel. For those living overseas, in a hurry, or just wish for us to take the strain, we offer a message printing and delivery service direct to the recipient. All our products are handmade to order and will be dispatched between 2-4 working days. If you are in a hurry, please contact us and we will do our very best to rush your order. Card size: Dimensions: 20cm x 15cm x 11cm approx and fits into an A5 envelope. Requires a large 1st class stamp. 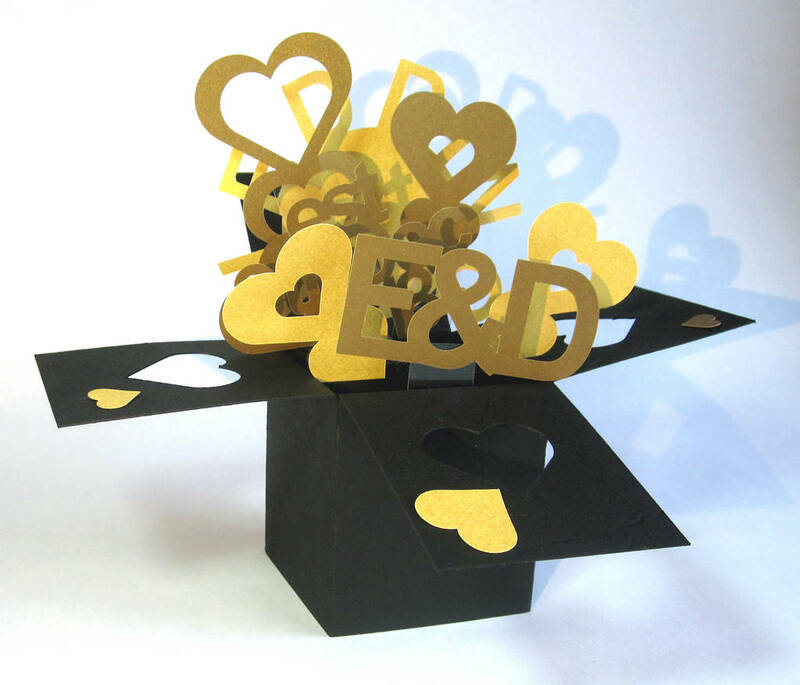 This product is dispatched to you by Ruth Springer Design.